A late-December protest of U.S. Rep. Scott Peters' district office in San Diego by AIDS groups morphed into an ongoing advertising campaign against the California Democratic congressman in what has become the most public battle in the intense lobbying war over 340B. 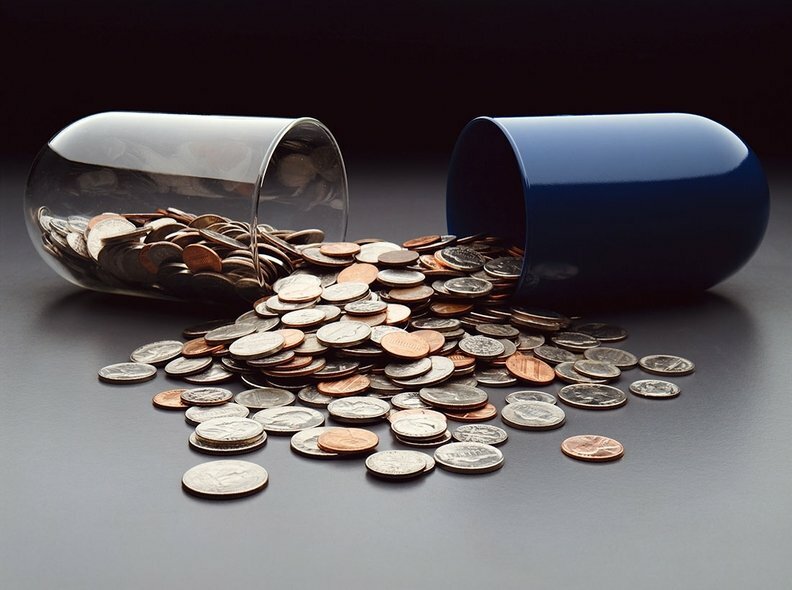 This war, mounted by Big Pharma and hospitals affected by the $1.6 billion annual cut the HHS has imposed on 340B hospitals, has left lawmakers who want to have a voice in 340B policy struggling to strike a balance between the two groups' interests. Moreover, there is not complete agreement within the hospital industry as to how Congress should proceed on 340B. The representatives are shifting their own strategies as they vie for a role in the 340B legislation expected in March out of the House Energy & Commerce Committee. In a conversation with Modern Healthcare, Peters dismissed the campaign against him by the AIDS Health Foundation him as irrelevant to his proposed legislation. "If they come and picket, we can explain the moratorium doesn't affect their facilities," Peters said, adding that when he spoke to Weinstein and his group they framed "any reform" as "an attack on the program." "I just have to deal with that kind of attitude," he said, adding that for him the issue is one of "accountability." The San Diego radio and television ad campaign, launched by Michael Weinstein of Southern California's AIDS Health Foundation, started after Peters signed on to a bill by his Republican colleague Rep. Larry Bucshon (R-Ind.) that puts a two-year moratorium on new hospitals enrolling in 340B and raises reporting requirements for those that already are, with some exceptions for entities like HIV/AIDS clinics and rural stand-alone hospitals. The bill was released with little fanfare on Dec. 21, the day Congress recessed for the year. Days later AIDS activists picketed Peters' office. Weinstein, who also backed a 2016 California ballot initiative on drug pricing, frames the battle as an opposition to Big Pharma, and he's committed to it even though the Bucshon-Peters bill doesn't hit HIV/AIDS patients directly. "340B represents 2.8% of the total drug market," Weinstein said. "The whole campaign against 340B is being waged, engineered, planned by Pharma, and so the people who are backing these changes are doing the bidding of Pharma. This program is not broken, it's not in need of repair, it's not without oversight, it's a solution looking for a problem." Weinstein notes that Peters is the only Democrat of the Energy & Commerce Committee he has spoken with who supports this change to the program. The AIDS Health Foundation's intense campaign hasn't driven Peters, whose San Diego district includes Sorrento Valley—home to biotechnology headquarters like Arena Pharmaceuticals—out of his co-sponsor's slot on the Bucshon bill. Still, nearly a month into the group's constant running of ads against him, Peters added his name to an entirely different 340B bill by Rep. David McKinley (R-W.V.). This legislation would essentially block the HHS Medicare cuts to 340B hospitals. In a way this wasn't a departure from his agenda: He had already signed on to a letter from Dec. 20—the day before he and Bucshon released their bill—that asked House leadership to put a moratorium on these cuts before they went into effect Jan. 1. So Peters framed his new support for the McKinley effort as a continuation of his past resistance to the HHS cuts. Peters also framed his co-sponsorship of the Bucshon bill as an opportunity to improve it for hospitals. For example, he said, he felt that Bucshon's original idea of a five-year moratorium on hospitals entering the 340B program was too harsh and so he was able to reduce it to a two-year moratorium instead. "I wanted to hit the pause button, and make sure the benefits are going to the right people," Peters said. But Peters' decision to add his name to the McKinley bill shows a recent shift in how House lawmakers are handling the 340B issue as they try to balance demands of two powerful industry groups. Peters, for example, wants the McKinley bill that blocks the HHS cuts to ride along with the Bucshon bill, which committee lawmakers say is likely to be included in the packet of legislation due out of the E&C Committee. Along with transparency measures and reporting requirements, this package of bills will include a "patient definition" measure by Rep. Chris Collins (R-N.Y.) that would limit which individuals qualify for the 340B drug discount. Meanwhile, McKinley has also changed his negotiation tactics to get his bill into the mix. He and his cosponsors had originally wanted it passed before the HHS cuts took effect on Jan. 1. Now he is pushing E&C Chair Greg Walden (R-Ore.) to convene a meeting with all the policymakers who want to change the program and hammer out a path forward that includes ratcheting back the 340B program. "It's expanded too much," McKinley said. "It was a good program that went through all the loopholes and quadrupled or it's five times the size. At the very least we've got to freeze the program until we get a better grip on how it can be used. But the idea of cutting it back this way is too punitive." Besides the moratorium, McKinley would also consider a slow phase-in of the Medicare reimbursement formula change implemented by HHS on Jan. 1 with little warning. This, he said, was "too draconian." He also is wary of reporting requirements as he said paperwork is already too burdensome for small providers. But he is willing to compromise. "I have room to negotiate on this, and so I am trying to get a hearing," he added. "I am trying to get Greg (Walden) to work with me on this and see if we can't work something out." On Pharma's push against the program, McKinley said he understands their position. That the original 340B statute requires pharmaceutical companies to pay for uncompensated care doesn't make clear sense to him, he said. But he is adamant that lawmakers shouldn't change that now. "That's the law, and let's make it work," he said. "I think (Pharma lobbyists) see this opportunity as a way to extricate themselves from issue. I don't think we should do that unless we have another funding source. Let's clean it up and work on it." As policy discussions fluctuate on Capitol Hill, some 340B hospitals are also getting more vocal about their willingness to look at program changes. Thomas Worthy, vice president of government affairs for the Piedmont Hospital system in Georgia, wrote a letter to Walden in late December stating disagreement with the American Hospital Association's opposition to proposed changes to 340B. Piedmont, Worthy wrote, "eagerly stands by ready to partner with you and your Committee to develop common-sense and meaningful reforms and assess any impact they may have on healthcare delivery in the United States." In an interview, Worthy said the letter shouldn't be read as a split in the hospital community. He, like other hospital officials who have spoken to Modern Healthcare, is concerned about the "patient definition" proposal especially and vehemently opposes the HHS cuts. "But we believe in transparency, and it has become clear with us that the legislators, especially in the House, believe transparency is important too," Worthy said. "We wrote the letter to help the committee understand that Piedmont's systems use the program as intended and these cuts affect services that can put patients at risk." In the meantime, Weinstein and his group aren't letting up. They are planning a "major demonstration" at Peters' district office for Feb. 22 and next week will run a new ad in San Diego. Weinstein has the constitutional right to run these ads, Peters said. "But it creates a lot of work for us, a lot of clarification. The people know where I'm coming from. What my district demands is someone who is willing to get in the middle of these things and work on them. If you're in the middle of the road they'll shoot you from both sides."